Today’s track comes from the back alleys of the Curt Boettcher story, yet manages to also touch on mainstream pop as well. I first heard ‘Glass’ as performed by Sagittarius on their 1968 Present Tense LP, where it stands, among all manner of beautifully crafted pop sounds as the trippiest number of all. It was – fitting in well with the ‘all hands on deck’ creation of ‘Present Tense’ – by a singer named Craig Brewer, a friend of Boettcher’s that was – par for the course – never heard from again. 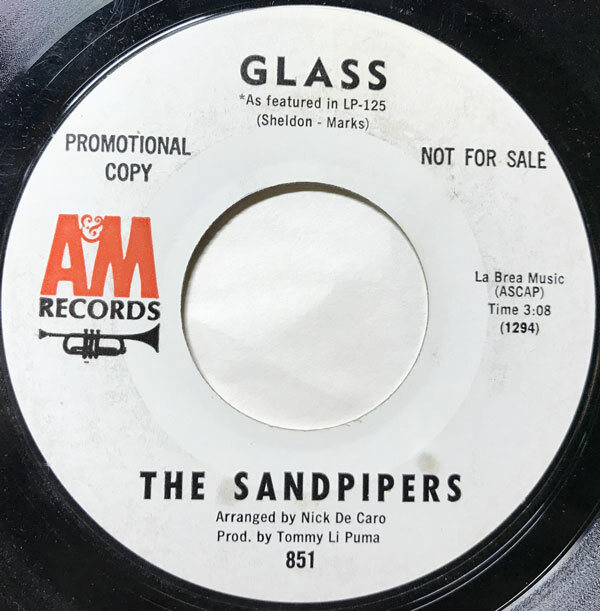 It was years after I first heard the Sagittarius version of ‘Glass’, that I discovered that the song had originally been done by the Sandpipers. If theye are known at all today, it is for their version of ‘Guantanamera’ which was a big hit in the summer of 1966. 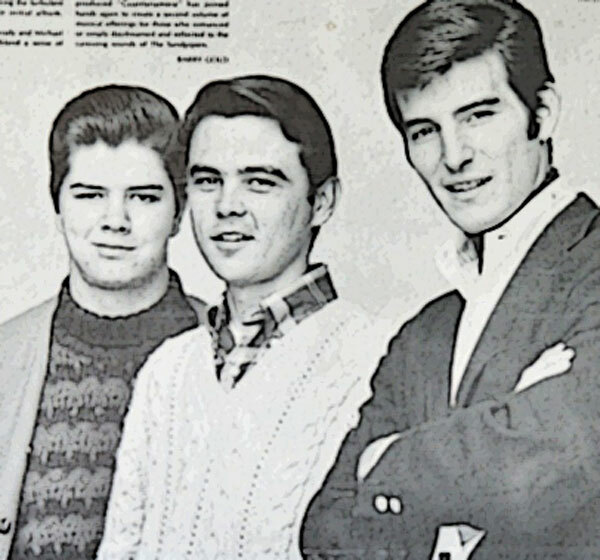 They were a fairly unremarkable pop harmony group, in the style of the Lettermen, but they managed to hit the charts a number of times between 1966 and 1970. 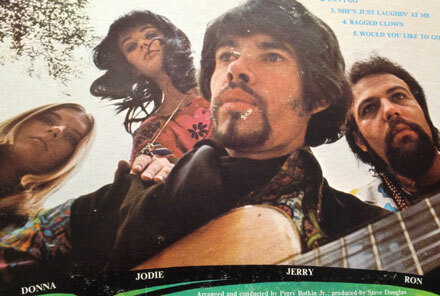 ‘Glass’, written by Larry Marks and Ernie Sheldon appeared on the group’s 1967 self-titled LP, alongside standards, Beatles covers and interesting material by artists like Bud Dashiell and a pre-Denverized John Dutschendorf. While I doubt anyone lost their mind on the way to the Third Bardo listening to the Sandpiper’s version of ‘Glass’, it is a supremely well-crafted bit of psychedelia-adjacent harmony pop, probably too weird for your Mom, yet oddly square to anyone that had already turned on. That said, it manages to transcend any squareness by virtue of a kind of darkness. 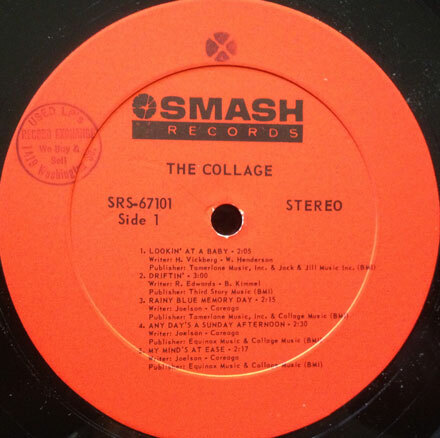 The record was arranged by Nick DeCaro and produced by Tommy LiPuma, and (interestingly) engineered by none other than Bruce Botnick, who had worked with the Doors and Love (among many others). I did a side-by-side comparison of the Sandpipers and Sagittarius versions, and as odd as this might sound, I’d go as far as to say that the Sandpipers take on ‘Glass’ is more genuinely psychedelic (even if the lysergia is kind of distant). The vocal arrangement on the Sagittarius version is (as expected) wonderful and densely layered, yet the musical backing on the Sandpipers record is subtle and more intriguing, approaching a kind of baroque weirdness, where Sagittarius take leans toward psychedelic tropes like sitar. I still dig them both, but the Sandpipers (despite this being something of an anomaly in their discography) are ahead by a nose. Got a cool one for you this month, guaranteed to lighten your soul and soothe your frayed nerves. Lots of groovy new arrivals to delight your ears.